A young landscaper gets caught up in the drug trade in this debut novel. Bobby Patrick is a 24-year-old in Austin, Texas, whose days are spent getting high, swimming in the lake, and dreaming about how to get ahead. A dyslexic, he failed to get through college, as words on a page “ran every which direction, as if something big was chasing them.” He has a new girlfriend, Katherine “Katie” Ann Smith, a waitress at a local diner, and the two are getting serious and talking marriage. Within their relatively small social universe, which is largely made up of marijuana dealers and thieves who have wealthy parents, Bobby and Katie navigate through various personal dramas. Katie’s not-so-nice best friend, Sara, slept with Bobby once. Katie doesn’t know about it, and Sara is holding it over Bobby’s head. Katie harbors a skeleton or two in her closet as well. While Bobby struggles to save money as a landscaper, he and Katie plan to open a restaurant. Katie has an affluent lawyer father, but there is a complication. Sara gets arrested and wants Bobby to bail her out and pay for an attorney. Just as Bobby realizes Sara may have gotten mixed up with the wrong people in the drug trade, he faces an uncertain future as he is drawn further into a mess that may have more to do with Katie than he could ever have imagined. 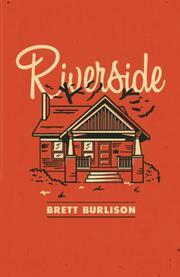 Burlison sets his story in the heady days of the early 1990s in Austin, though his characters are perhaps more aloof than one would expect of the Generation X social scene. But they are certainly Texans. Bobby, an East Texan, is a scrappy self-starter and problem solver, while Katie and Sara are forthright and controlling, but still looking to daddy to bail them out. Burlison manages to make Bobby a sympathetic protagonist, even though the characters here are involved with drugs by their own choice. The winding and increasingly sinister plot holds some exciting scenes. But the author relies too much on small talk and continual dialogue, and he takes his time shaping the storyline. A steamy tale and beguiling thriller, with plenty of local color and some provocative twists.